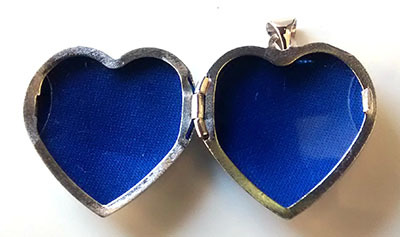 Very pretty, top quality sterling silver heart locket which measures 27mm long (inc bail) and 21mm wide. 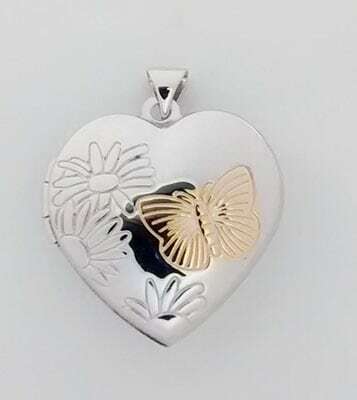 It has an embossed butterfly motif picked out in gold and is highly polished silver. Photos 19mm wide and 19mm deep (max) will fit inside it. 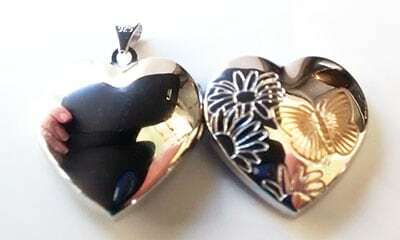 Sold with a free 18" sterling silver chain.